Sixty-two-year-old Arianna arrives in the South of France for a two-week artists’ workshop full of anticipation but burdened by guilt. Back home in Toronto, she has been living with the devastating diagnosis of her husband’s dementia and the heartbreak of watching the man she has loved for decades slip away before her eyes. What does her future hold without Ben? Before her is a blank canvas. Encouraged by her family to take some time for herself, she has traveled to Arles to set up her easel in the same fields of poppies and sunflowers that inspired Van Gogh. Gradually, she rediscovers the inner artist she abandoned long ago. Drawing strength from the warm companionship and gentle wisdom of her fellow artists at the retreat—as well as the vitality of guest lecturer Jacques de Villeneuve, an artist and a cowboy—Arianna searches her heart for permission to embrace the life in front of her and, like the sunflowers, once again face the light. I’ve read Ms. Sands’ book Promise of Provence and quite enjoyed it, so I was excited to be able to read and review Drawing Lessons as well. Her descriptions of France and of her characters are so vivid that I find it quite easy to bring them all to life in my mind. Of course, it also makes me wish I could be there with them! In this case, in Arles, creating art. I really felt for Arianna in this novel as Ms. Sands skilfully took me through her everyday life, and the difficulties and sadness that she was experiencing. I wanted to reach through the pages and hug her. Dementia of a loved one is a tough challenge to meet, especially when it progresses to the point that your loved one remembers little to nothing of their family and friends. This book was on the quieter, introspective side, and it was just what I was looking for. but her heart’s other home is the South of France. on tours of the Riviera and Provence. and was a 2015 nominee for a #RBRT Golden Rose award in the category of romance. and Perfectly Provence, and she appears as a public speaker for women’s groups. Subscribe to her mailing list and get information about new releases. 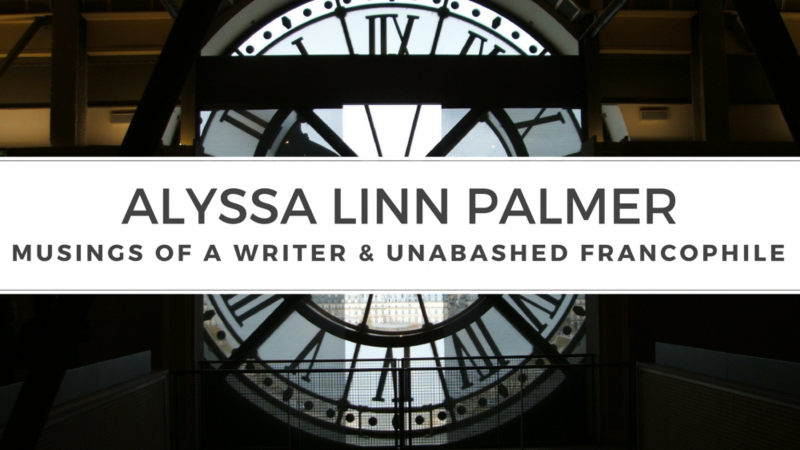 This entry was posted in Book Reviews and tagged arles, dementia, drawing lessons, france, france book tours, greek, monet, patricia sands, restaurant, sunflowers, van gogh by Alyssa Linn Palmer. Bookmark the permalink. Alyssa, merci mille fois for your thoughtful comments. With your intimate knowledge of all things French, your words mean a lot! “What grabs you about this novel?” It sounds like a charming visit to France!